Why would I want to row? If you have never rowed/coxed before, the best way to get involved is to sign up to join a novice crew in Michaelmas term. In fact, most Cambridge senior rowers, and the vast majority of senior rowers at Churchill, learned to row as novices in Cambridge. There are usually between three and four novice crews for men and one or two for women. The number of crews depends on the number of people interested, so everyone can get involved. Early in the term, you will be taught the basics of rowing so that you get a good feel for the correct technique and rhythm required. Later in the term is your first side-by-side race, the Clare Novice Regatta, and the highlight of the term is the prestigious Fairbairn Cup race. You will also be introduced to the social side of rowing, through formal swaps, crew meals, and the Boat Club Dinner at the end of term. 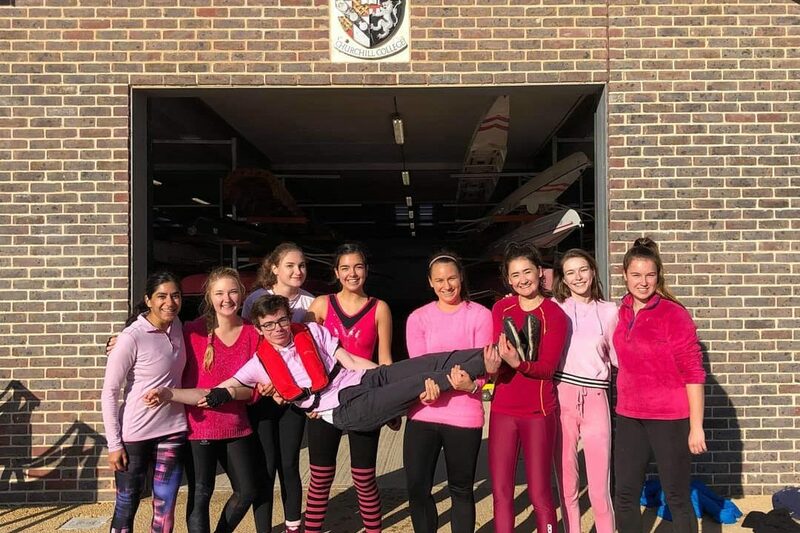 Novice crews are a major focus of CCBC's Michaelmas rowing program, and a great deal of effort goes into teaching novices how to row well and how to enjoy the sport. After all, we want people to enjoy rowing so they will carry on as seniors! What about the early mornings? For Michaelmas term as a novice, you're not allowed to row before 7.30 am. It takes roughly 10-15 minutes to cycle to the boathouse, and about 15 minutes before you start rowing to get the equipment ready, meaning you have to be awake at 7 am. How early you wake up before then really depends on how long it takes you to get up in the morning, and most people will wake up about then for lectures anyway. So it's not really that early. Senior boats will row before then and so will have to get up earlier, however, you'll know after a term of novice rowing whether you can cope with the earlier starts and enjoy rowing enough to consider it! There's no pressure to keep going after the first term, although we hope that you do! In the summer, you're allowed to row in the evenings as long as there is light, and so many crews will avoid mornings altogether. In fact you're allowed to row almost whenever (with a couple of minor restrictions) providing there is light, so you can row in the day, but most people are too busy with lectures and practicals to be able to organise this! It's worth noting that people row at Churchill (not to mention all the other colleges) every year, in spite of the early mornings. So the early mornings can't be so bad- otherwise no one would do it. How much time will rowing/coxing take up? Rowing is a physically and technically demanding sport, and it is necessary to train frequently to stay sharp and fit. Novice crews typically have two or three outings per week. Each outing lasts around an hour and a half (including getting ready at the boathouse), and novice outings are usually held in the mornings before lectures. No novice boats are allowed to train before 7.30am, so it's not a ridiculously early start. Rowing in Lent term becomes a little bit more intensive and competitive as crews prepare for the Lent bumps. 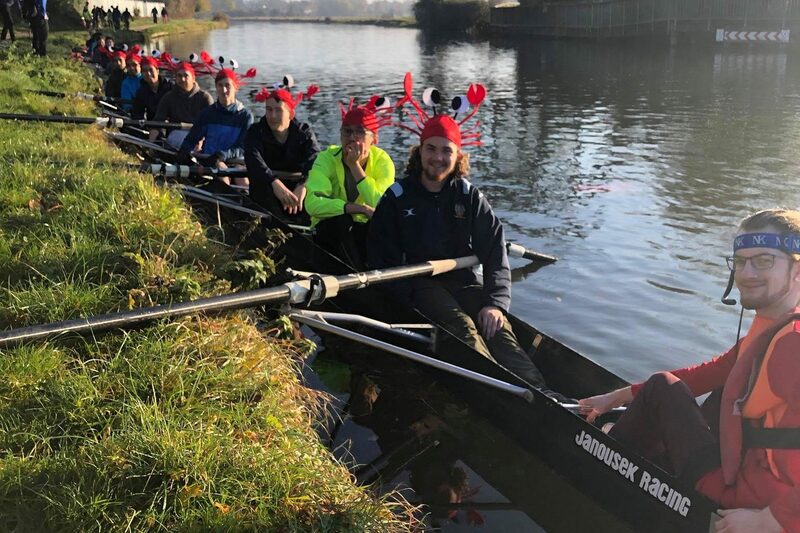 First boat crews in Lent term typically have four outings and a couple of land training (weights and on indoor rowing machines) sessions per week. For lower crews, it's up to crew members to decide how much time they want to commit, but two or three outings and perhaps one land training session per week would be typical. May term is the highlight of the rowing year, and first boat crews typically have five outings and a few land training sessions per week. For lower crews, again it's up to crew members to decide how much time they want to commit, but three outings and one circuit training session per week would be typical. Senior crews row in the early evening, and lower boats row in the morning or afternoon. Land training for coxes is entirely optional (although coxes are very welcome to attend), so this is potentially a good option for people who like the rowing scene but want less commitment. Aside from water and land training, there are usually between two and four races each term (usually at the weekend), and at the end of Lent and May terms, the four-day Bumps races from Tuesday to Saturday. Rowing only takes place in term time, so basically the rowing year is made up of three intensive eight-week periods. Crews training for major events outside of Cambridge (for example the Head of the River Race or Henley) train for a few weeks extra after Lent and May terms, as these events are in the Cambridge vacations. CCBC holds a week training camp (that also serves as a selection camp for the May term senior crews) at Easter time. Sounds a bit too serious and time-consuming? 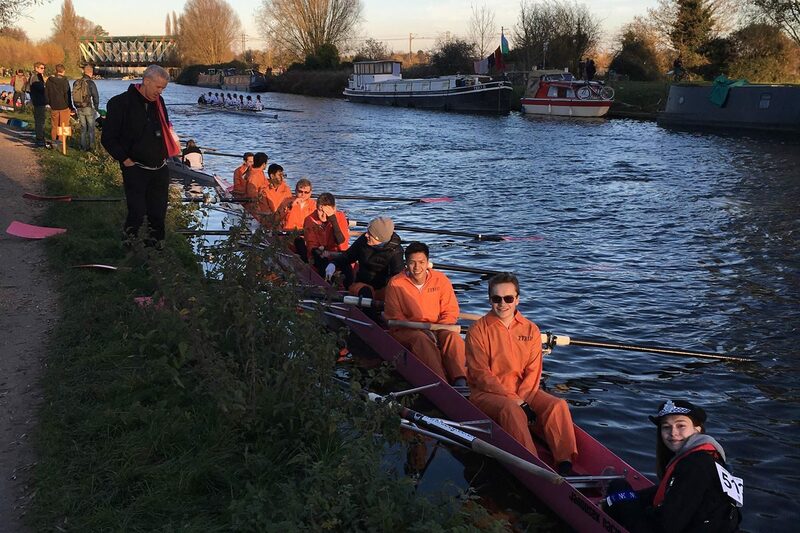 If you don't want to commit the time necessary to be in a top crew, or if you haven't rowed before and didn't join a novice crew in Michaelmas term, you can still be involved by rowing in one of the lower boats. These crews take rowing a little less seriously, and have fewer outings and fewer land training sessions. However, you're still out on the water enough to keep fit, row well and enjoy yourself, and you still get the thrill of competing in all the races on the Cam throughout the year. So if you're keen to row just for fun, rowing in one of the lower boats is ideal... although I defy anyone to row "just for fun" when the gun goes off to start a Bumps race! Can I do other societies/sports? Definitely! It all depends on how much time you are prepared to commit. Of course it easier to manage your time if you are in one of our lower boats as you'll be spending less time rowing than in one of our first boats, but it is possible to do other things even in a first boat. Like most things at university it's all up to you to manage your workload and society commitments. Rowers have in the past managed to be in the theatre scene, student journalism and university music societies. I haven't done any sports before, does that matter? Not at all - there are boats for all abilities. So while it may take you longer to make a higher boat if you're not as strong or as fit as other novice rowers, if you're enthusiastic and are able to improve then with enough time you should be able to make any boat you put your mind to! If you're interested in coxing, it's much more of a skill than a sport. So there are few things that can give you an advantage in coxing (even driving ability doesn't correlate!). If you're interested in finding out more about coxing (and what it is), check out our coxing FAQs. Don't you have to be really tall? It's true that taller rowers have an advantage over smaller rowers in terms of rowing fitness, but technique is just as important. So a small, technically good rower can be better than a tall rower. At Churchill College Boat Club there is a whole range of rowing abilities and rower sizes, and a combination of physical and technical attributes get taken into consideration when choosing rowers for crews so there is always the opportunity for small rowers to make it into the top crews. On the women's side, we've had rowers below 5 feet tall make it into the first boat! The major highlight of the term are the termly Boat Club Dinners. These consist of a formal hall for rowers and guests, and are a celebration of the term's rowing training and results! Everyone who's been part of the club remembers the boat club dinners. There are often rowing swaps both within Churchill's boat club and with other college clubs, and Pizza evenings. Often individual crews will organise their own socials, such as crew meals. The trials for the higher boats are usually quite competitive. Crews are selected each term by coaches and senior club members. Crews are selected on the basis of technique, fitness and coachability. Potential crew members are evaluated on their performance during outings and on their times for 2000 metres on the ergometer. In rowing, good technique and rhythm are as important as brute strength. Coxes are selected on their overall coxing ability, enthusiasm and ability to improve. What types of races do Churchill crews compete in? These are time trials against the clock. The premier race of Michaelmas term for both seniors and novices is a head race called the Fairbairn Cup. Churchill crews also compete in the Head of the River Race on the Tideway in London. This is the premier head race in Europe and is the Boat Race course in reverse (so from Mortlake to Putney). These are side-by-side races which involve between two and six crews. The Clare Novices Regatta and the Emma Sprints are two prominent College regattas on the Cam. Churchill crews also compete in regattas outside Cambridge, including the Henley Royal Regatta, the world's premier rowing contest. The Bumps races are the highlight of the Cambridge rowing calendar. In these thrilling races, seventeen boats per division start in a long line a length and a half apart, and the aim is to try to "bump" into the boat in front before being hit by the pursuing crew. All the above races are for eights. There are also head races and regattas for fours, pairs, single sculls and double sculls throughout the year. The day-to-day running of the Boat Club is managed by a committee of students. 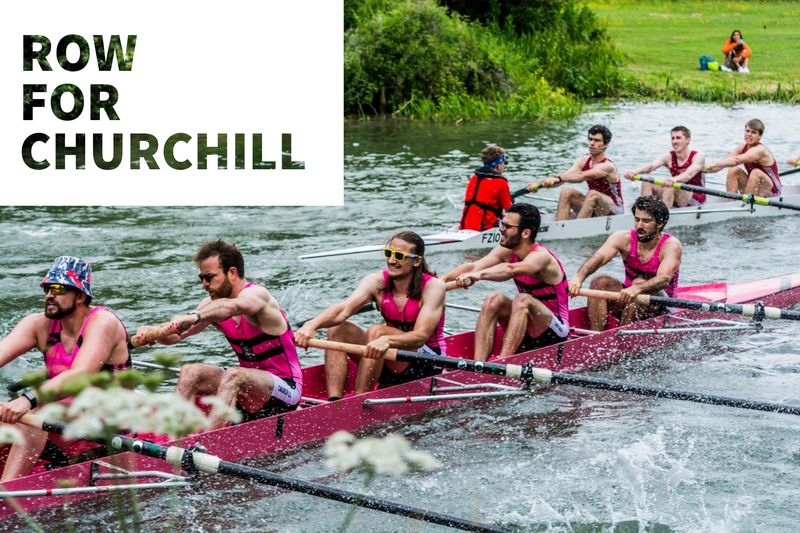 There are men's and women's crews in the Churchill College Boat Club, and so there are corresponding men's and women's captains (1st boat), vice-captains (2nd boat) and lower boats captains, as well as an overall captain. The club has built up links with a wide range of coaches who kindly give up their time for us throughout the year. The club is also overseen by the Boat Club President (an alumna) and Senior Treasurer (who currently works in the College's development office). If you have any more questions at all, then get in touch with one of the Boat Club Captains on the Committee page.